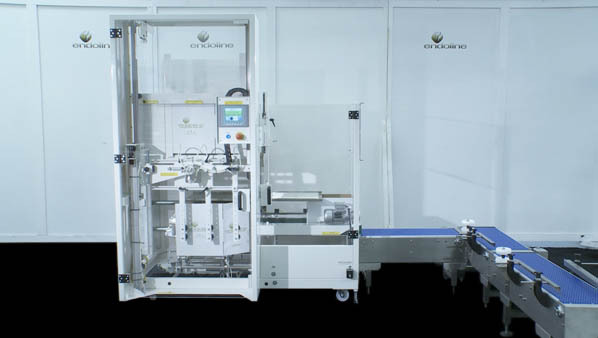 The 2218 is a fully automatic case erecting machine which is designed to handle long cases in a wide variety of styles. 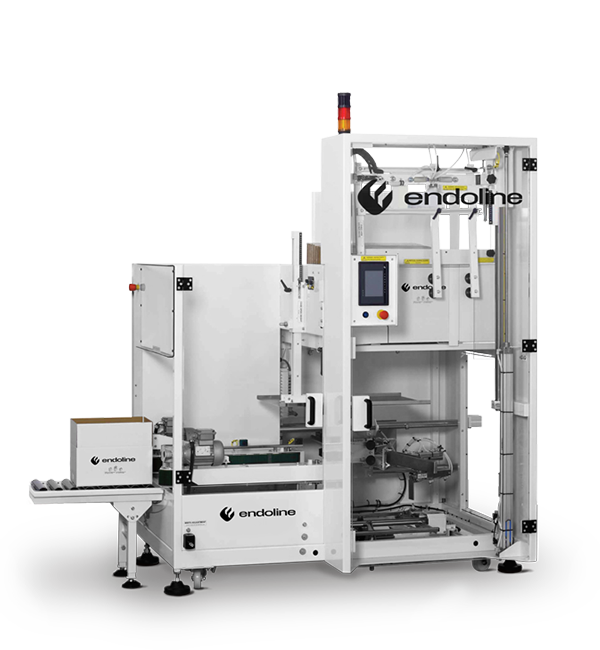 The machine seals the bottom flaps with self-adhesive tape and offers a small footprint providing great value for money resulting in the machine being one of Endoline’s best-selling machine. The standard type 2218 case erecting machine can handle cases between 200-650mm length, 150-400mm width and 175-600mm open height. Up to 12 cases per minute as standard, high speed – up to 14 cases per minute. 50mm wide as standard. 75mm wide optional. This unique design feature ensures that each case is opened positively from both sides. It ensures the efficient and reliable opening of cases, and overcomes problems that can be associated with stiff board and glue migration from the manufacturer’s joint. With a surprisingly compact footprint these machines will fit in to areas with restricted floor space or areas not normally suited to the installation of large or bulky machinery.